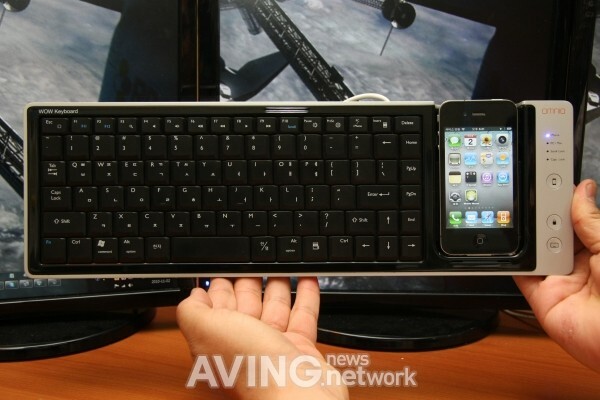 Why just dock your iPhone when you can create an iOS-based Eee Keyboard instead? 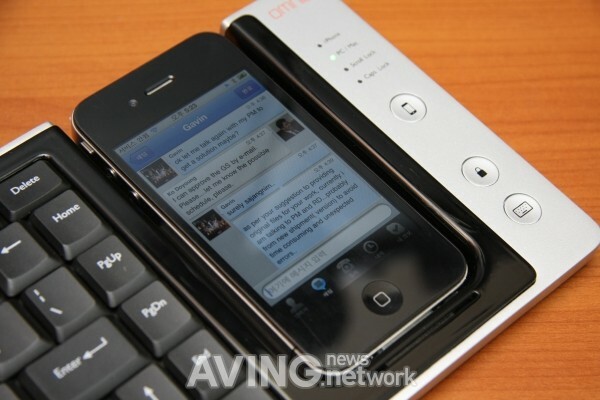 What you're looking at is a Made for iPhone keyboard called WOWKeys from Omnio. 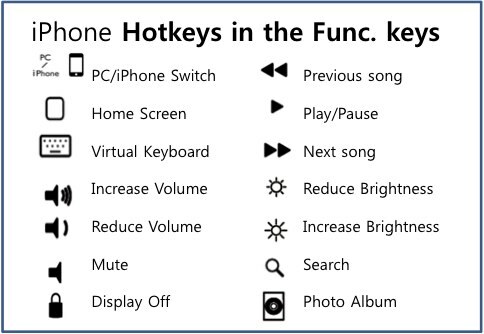 The $100 USB keyboard / iPhone (3GS or 4) dock is Mac or PC compatible (note the cohabitation of the Windows flag and Command key in the prototype images after the break) featuring 15 hotkeys designed for iPhone use. Of course, you can also load up any number of apps to turn the iPhone into a media center remote control, multi-touch trackpad, and soon an AirPlay media streamer when iOS 4.2 is released. That makes the whole ensemble a pretty versatile ARM-based computer and smartphone. Someone remind us of the advantages of that $600ish Atom-based ASUS all-in-one PC running XP again? Update: Added gallery of product renders below and a description of the shortcut keys after the break.